mobile tower made out of cuplock scaffolding system. 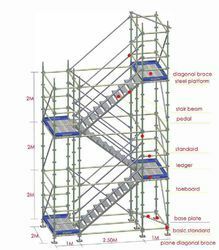 We are engaged in offering Mobile Scaffold Tower. 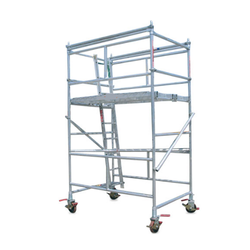 Our reputed entity is engaged in supplying Mobile Scaffold Tower. - Height Available in 2.0 mtr. up to 20.0 mtr. - Tower Erected by using vertical and cross bras in all four directions to avoid any loose fitting castor wheels with or without rubber type used.